At GlassLab, we try our utmost to meet the individual requirements of every Customer. Our Glass Dry Wipe-Boards offer the same opportunity. We can screen print the back of the 6mm Low-Iron Toughened Glass with any colour or design that you might require. If you want bright yellow, shocking pink or lime green….we can do it! We can also print Company Logo’s, Maps, Menus, Scrolls, Grids or just a bit of interest around the edge….i.e. Grass, Jelly Beans or Bubbles….. You name it! 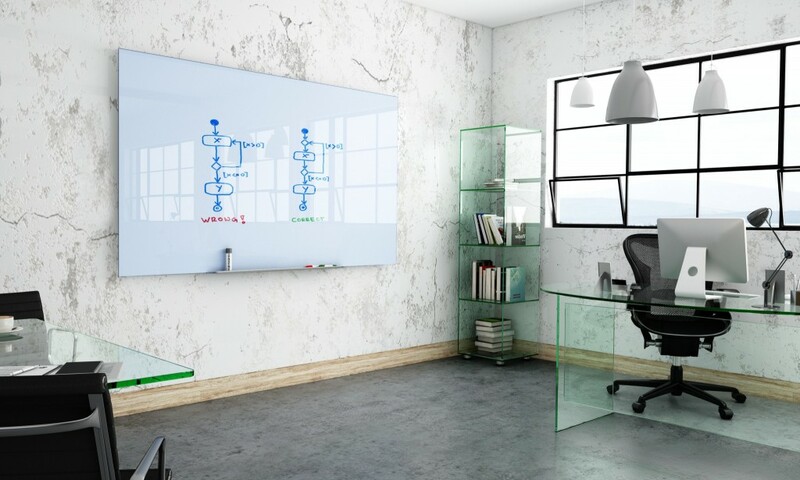 As per our other Glass Dry-Wipe Boards, our Bespoke Glass-Boards are completely frameless. The glass is bonded to a unique steel back-plate ensuring the complete writing surface is fully supported when leaning on it to write. 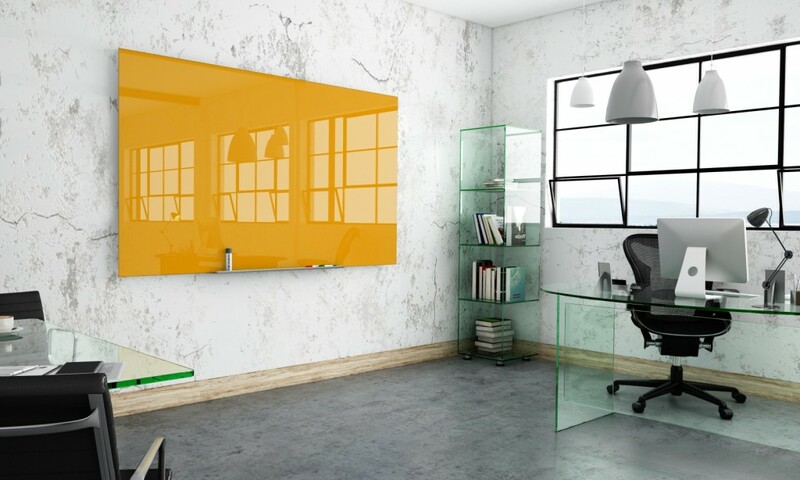 It also gives the added benefit of being completely magnetic making them ideal ‘Glass Memo Boards’. The back-frame creates an attractive ‘shadow line’ around the boards, and discreetly encloses all fixings to provide aesthetically pleasing, crisp, clean lines. The superior quality of our whiteboards is immediately evident. 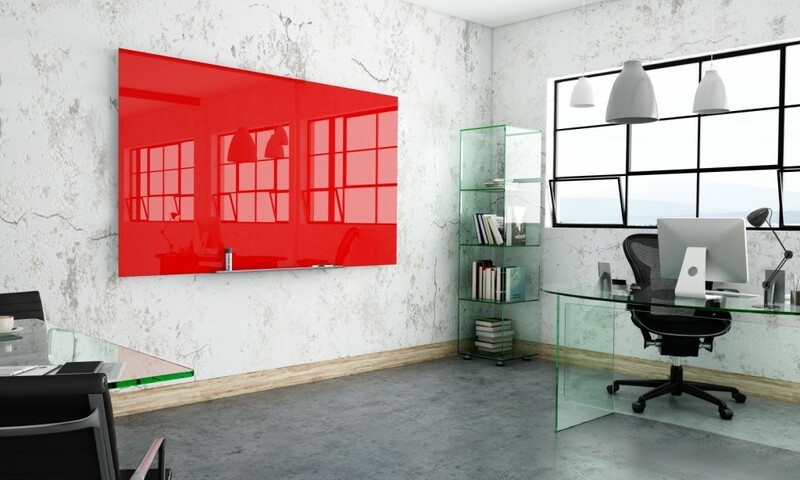 Their stunning appearance will enhance and compliment any work environment and the glass will retains its stunning ‘as new’ appearance for the life. Permanent marker can be used for grids and constant features, but can be easily cleaned off when finished with. We can also provide a range of brightly coloured hi-power magnets, together with different sized SAA finished aluminium pen trays that attach magnetically to the back board.